In our last helpful water heater repair how-to, we discussed replacing your thermostat. For this post, we’ll quickly go over replacing your temperature and pressure-relief valve, or T&P valve for short. As always, should you have any questions or if you feel uncomfortable performing water heater repair in Sacramento, call on the professionals at Express Sewer & Drain for fast, reliable workmanship that won’t break the bank. We’re available 24/7/365 and we never charge extra for after-hour work, weekend calls or even on holidays. Your business is our pleasure. 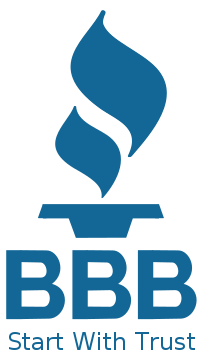 Sacramento Hot Water Heater Repair: Replacing Your Water Heater Or Replacing Your T&P Valve? The temperature is too high. Is there steam coming out of your faucets? Water expands as it heats. This causes pressure to build up on your valve. If the valve is old, your spring may be weak and relieving water at a lower pressure than it should be. Your pressure reducing valve (by your main, if you have one) is allowing too much pressure in. 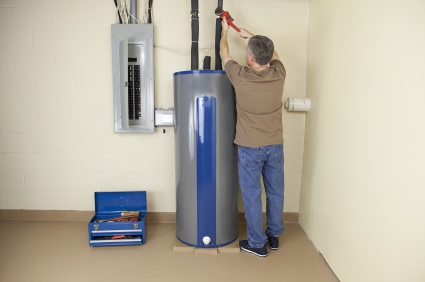 Don’t be too quick to think you need a new water heater. It may just be your T&P valve. If you have any questions, don’t hesitate giving us a ring. We’re more than happy to help you out by saving you a little time and money! Express is your number 1 Sacramento water heater repair specialist! Grab a bucket, a pipe wrench and some joint compound. Now let’s get this done. Turn the water heater off and shut off the electricity (see below). If yours is a gas heater, turn off the gas and turn the thermostat down. Empty the hot water from the tank. To do this, simply turn on the hot water of the faucet in your home with the greatest water pressure, letting it run until the water cools. Locate the inlet pipe going into the water heater. Shut it off. Place the bucket under the overflow pipe which extends from the T & P valve. Lift up the lever to decompress the tank. Hold the lever until the water stops flowing through the overflow pipe and close the T & P valve by switching the lever back to its former position. Remove the overflow pipe. Use your pipe wrench. This is very easy, just secure the wrench and turn it as you would a nut. Disconnect the T & P valve with your pipe wrench the same way you removed the overflow pipe. If your water heater is old, or there is tank corrosion, replacing a T & P valve can be difficult. It could require someone strong. If you can't get it off, try some lubricant (WD40) or call Express for help. You don’t want to permanently damage your unit while performing hot water heater repair in Sacramento. Apply the joint compound to the new pressure relief valve. Apply it liberally over and around the threads of your T & P valve. Next, insert the threaded side of the valve back into the water heater and screw it back into place. As always, never over-tighten screws. Replace the overflow pipe by screwing it back. Sacramento Hot Water Heater Repair Made Easy! Of course, we don’t always have the time or the initiative to do water heater repair ourselves. If this is your situation, contact us. We’re super-fast, friendly and very affordable.